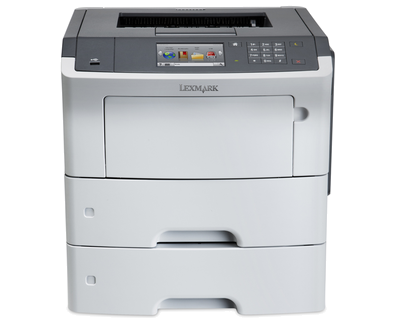 The Lexmark MS610dte network-ready laser printer includes a 10.9 cm (4.3 inch) colour touch-screen operator panel, internal two-sided printing, 800MHz dual-core processor, 512MB of standard memory, 1,200-sheet input and a front USB Direct Interface. Be more productive and efficient with our easy-to-use 10.9 cm (4.3 inch) colour touch screen and customisable apps. Provides access to productivity solutions, too.